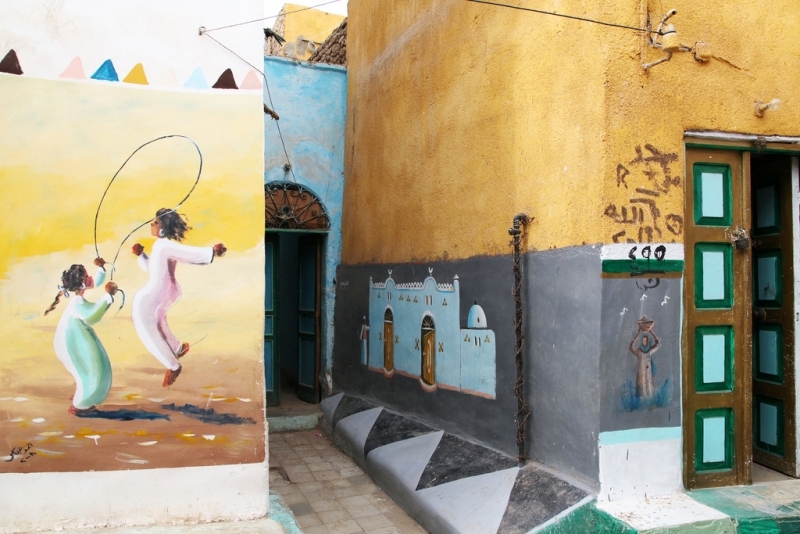 There is nothing more delightful than a visit to a Nubian Village in Aswan. 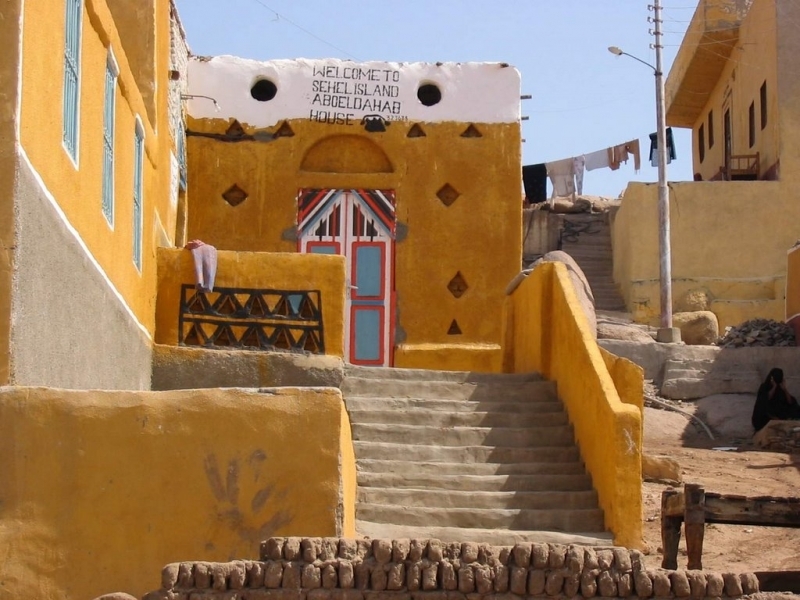 Seeing the Nubian culture ‘up close and personal’ it truly a lovely experience with unique colourful painted houses, basic but comfortable living standards and happy smiley people. 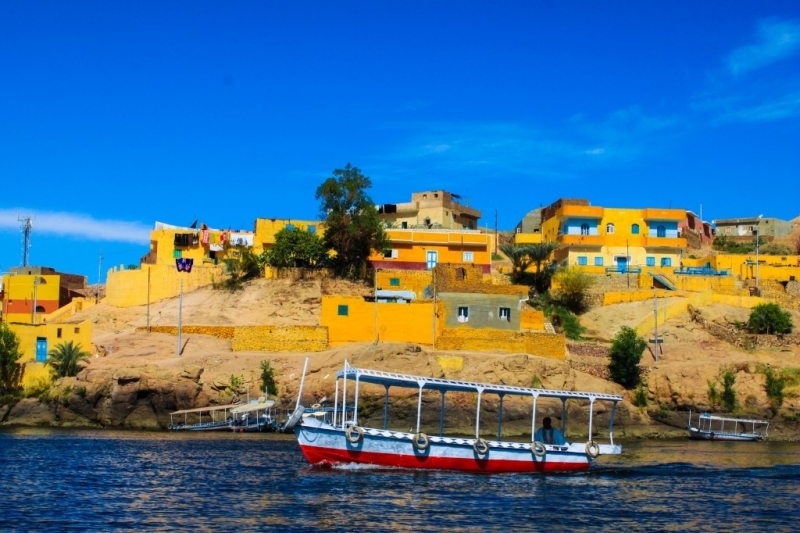 Less than a 10 minute Felucca ride from Aswan Centre, 3 hours drive from Luxor, and a 1 hour flight direct from Cairo to Aswan. 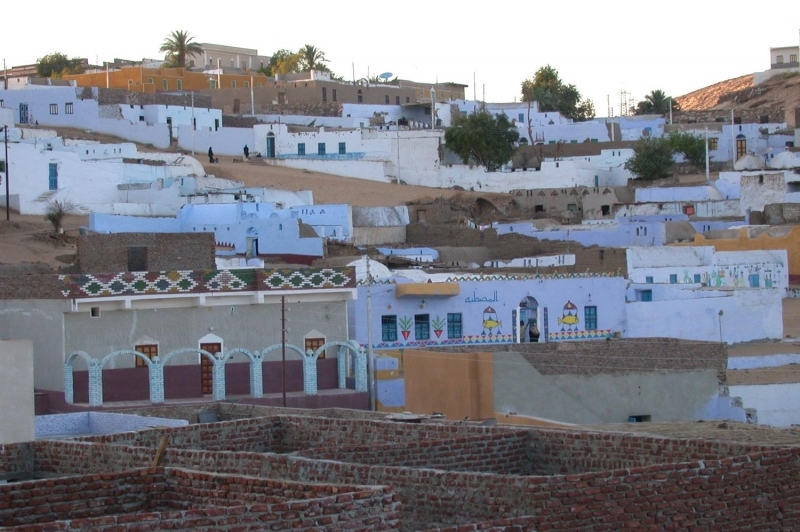 Nubian villages – Siou and Koti – nestle amid lush palm groves, their houses painted sky-blue, pink or yellow and often decorated with hajj scenes. Chickens peck in the dust and goats chew anything that happens to be lying around!.Mud-brick alleys twisting past walled gardens, where the only concession to tourism is a signposted Nubian House, whose owner sells tea and handicrafts and arranges henna-painting.Rural and basic school rooms with minimal equipment yet happy children excited to smile and say hello at any new faces visiting them. Camels gliding slowly through on their way to transport tourists to local sites of interest. 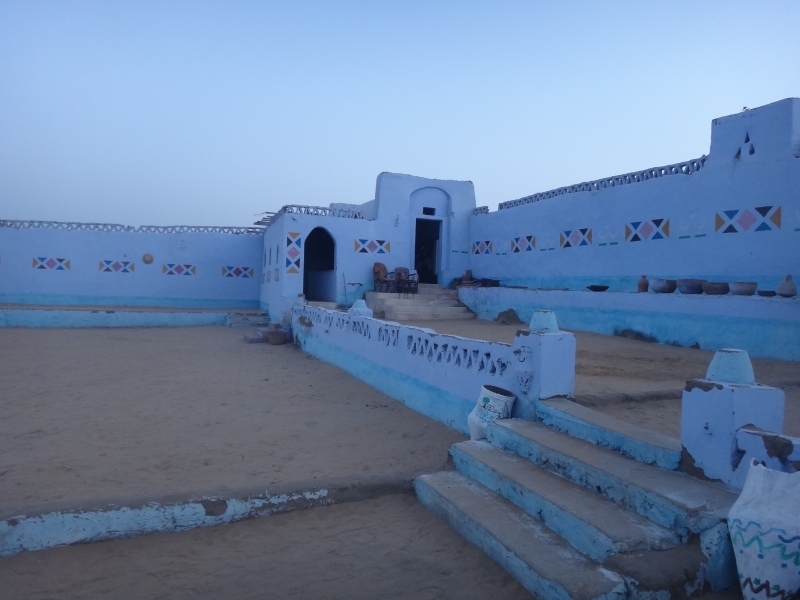 Local villagers trade their inexpensive handmade Nubian crafts and often have small live baby crocodiles in cages for you to take pictures of and even hold! 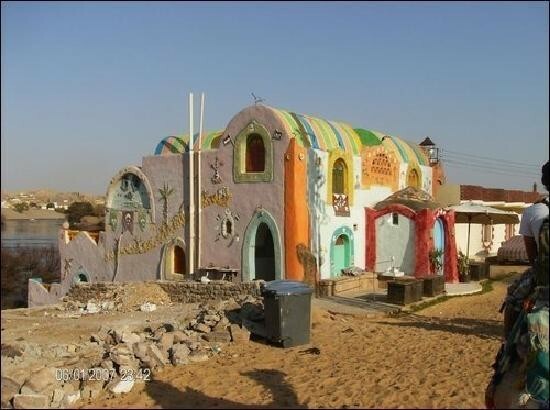 I very worthwhile trip for all ages.